Hours: Thursday through Monday from noon to 6 p.m. Bombing down the road with wind in your hair on a fresh new deck is a slice of heaven. The ladies of Skate Haven know it, and they offer that slice to all who walk in their door. Wheels, decks, gloves and apparel—they’ve got it all, plus local clothing and jewelry designs, and full snowboard and ski tuning services for snow-bound grinding. Hours: Monday through Friday from 11 a.m. to 6 p.m. 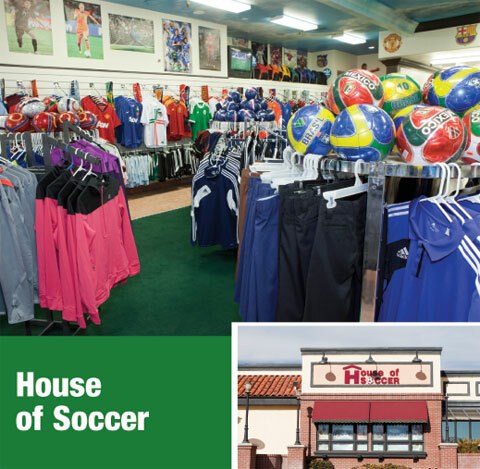 This huge specialty store will make any fútbol fan feel like soccer is America’s No. 1 sport. Team jerseys line one wall. Cleats of all styles line the other. And in the back room, you’ll find baskets of soccer balls in every color of the rainbow. Run, bike, swim, ski, snowboard—Sport Systems is your one-stop shop for last-minute gifts that are all about action. Each area within the store is staffed with knowledgeable (sometimes bordering on fanatic) locals that can give you first-hand details on all the products, which means you can spend less time shopping and more on your favorite past-time. It’s impossible to miss Kaufman’s West as you drive down Eubank, since it’s more patriotic than a bald eagle wrapped in an American flag. Inside is a war chest of awesome items from the simply practical (a pair of sunglasses) to the extremely survivalist (gas masks for all! ).